One of my favorite looks is a classic, preppy one. It gives off an aura of intelligence and grace, but can sometimes be a little too stuffy. To make sure I don't look too "country club" I try to incorporate at least one unexpected item to add a little fun to the outfit. The best (and easiest!) way to do this is with a cute, quirky little purse or handbag. I've rounded up a few examples that I'd love to have by my side. 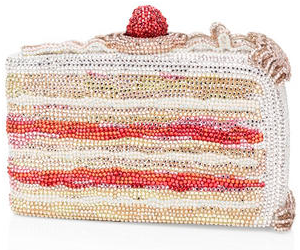 And just for fun, how about this 'slice of cake' purse for a whopping $5,000! the slice of cake clutch is too cute. Very cute and lovely bags!! Ah, so so cute! I am in love with the turtle and pandas, they are adorable! The turtle and the panda are my favourites! Quirky fashion is the best. It's important to have fun with it. So cute!! Love fashion with a sense of humor. The pineapple is my fav! I most def love some quirk in my home designs, so why not in my wardrobe accessories??? I like the armadillo! Awww, these are just so lovely! Quirk finds make life not boring. these are sooo cute!! love the fish one. that pine-apple bag is so cute! Oh, hey, it's the MC Hammer pants girl here! So glad I've found your blog. 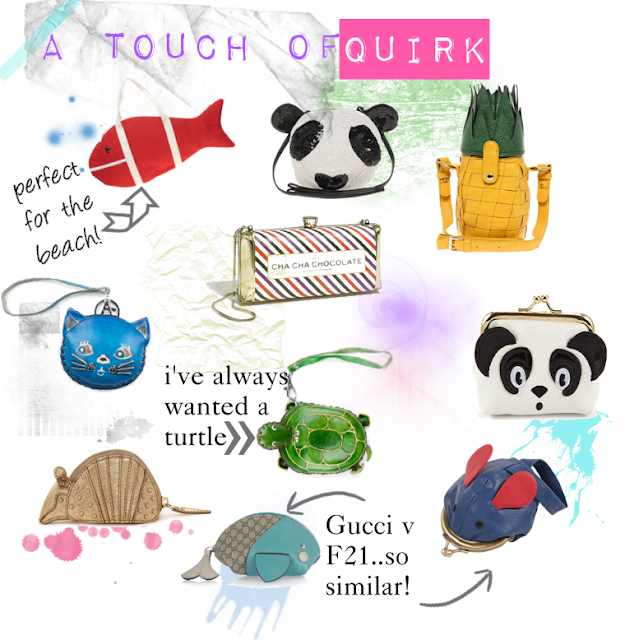 This collection you've put together is so cute it tickles! I clicked on the little mouse coin purse and there's a super cute-funny picture of it with its little mouse mouth opening up.